Growing up in New Zealand, I remember the Goodnight Kiwi. He was like Fat Cat here in Australia – when he came on TV and said “goodnight boys and girls” it was time to go to bed. (Mind you, I also remember getting up early and TV transmission hadn’t resumed and there was just that colourful circle on the TV… I think that makes me old :-P). 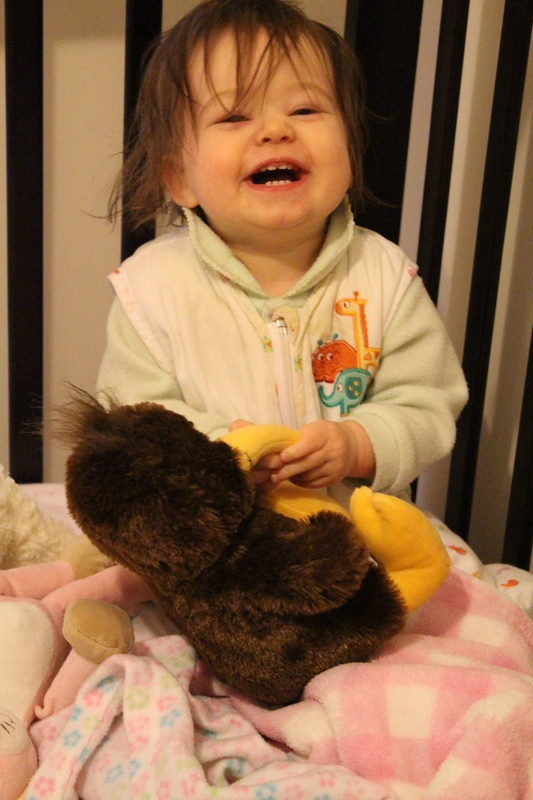 Bubba has her good morning Kiwi 😛 I love it when she wakes up all chatty – I know she’s awake because I hear her chatting away in there… I peek around the door and she’s sitting up talking to her kiwi and her other teddies. And trying to grab the mobile.